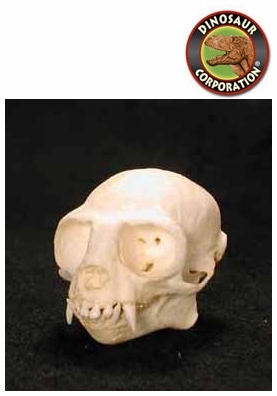 Crested Tamarin Skull. Endangered New World Monkey, Columbia. California Academy of Sciences specimen. Crested Tamarin is a type of small monkey, found in Panama and Colombia. Crested Tamarin is a small monkey. With a length of between 225 and 240 millimetres (8.9 and 9.4 in), excluding the tail it is the smallest Central American monkey. The tail length is between 314 and 386 millimetres (12.4 and 15.2 in).